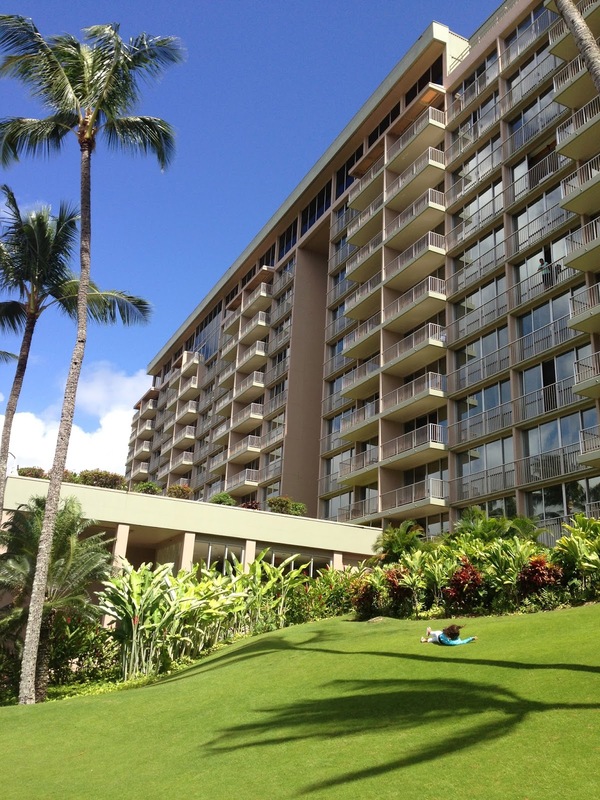 The tallest building in Kauai is the Kilohana Wing of the Kauai Marriott Resort and Beach club. 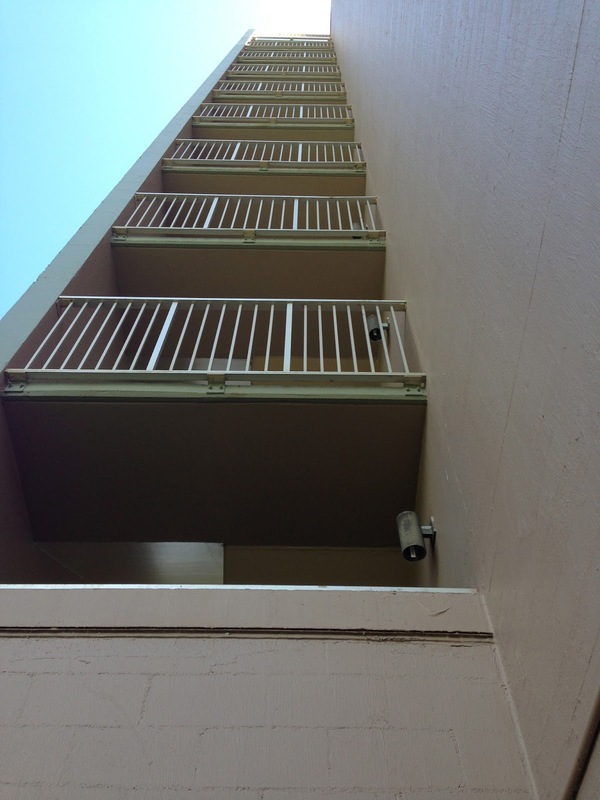 This tower at 12 floors and 143 ft in height is the tallest building on the island of Kauai. 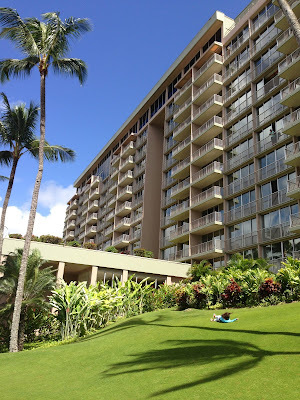 It should remain the tallest for many years to come as the local Hawaiians were not happy about the tall building erected by the Marriott properties so the enacted a new building code saying any new building should be "no taller than a mature coconut tree." I was fortunate enough to be in Kauai with my family for two weeks. After 8 years with the same company I quit my job and had a one month gap in between starting my new job to have a "mini retirement" as Tim Ferris would call it. After discovering this unique history I determined I must run the stairs of this building. The tallest building in the state of Hawaii is on Oahu and that was not going to be in the plans for this trip. I entered the building looking for the stairwells. I chose to run the stairwell on the west side that went all the way to the roof to ensure I ran as high as possible. It was apparent this building is quite old. 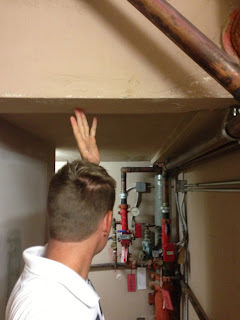 I am 6 ft 3 inches tall and the ceilings were very low in some spots. Some of the stairs looked to be made out of I-beams. I have never seen stairs made out of I-beams and I figure that must have taken a lot of energy and manpower to cut them down just for a few stairs. It only took 46 seconds to run the stairs in this building in my flip flops. I exited the building and went around to the East side to find a beautiful open air stairwell connected to the building. 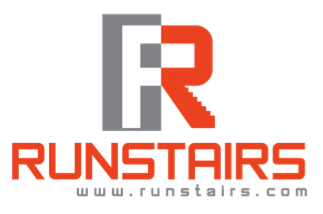 Some people really like the idea of working out in a stairwell but can't get past the idea of dust in the air of the stairwells. This stairwell takes away that excuse. In fact, I ran up this stairwell a few times for exercise and then took a few steps onto the beach and jumped in the ocean. Best workout ever! I was not planning on working out on stairs while on this 9 day Kauai vacation but I am glad I did as this was very memorable. If ever visiting Kauai I recommend staying at this Marriott as it is beautiful and the workout is incredible.